We have already passed the spring halfway mark and temperatures are rising dramatically, which means summer is definitely on the way! The warmer, balmier days with a lot more cloud gathering indicates that the rains are also not too far away… We’ve already had our first downpour – a much appreciated 20 mm! Hopefully, a good sign that our dry cycle is easing. Wahlberg’s eagles are already arriving to begin their ‘spring cleaning’ of the previous years’ nests; and yellow-billed kites too, are here for some summer food. The notorious spotted ground-beetles are already building their numbers on the camp pathways and reserve roads as they seek an easy insect meal. The golden pansy butterfly species are already exploring the parched post-winter landscape, eagerly awaiting the wildflower blooms which are sure to arrive. 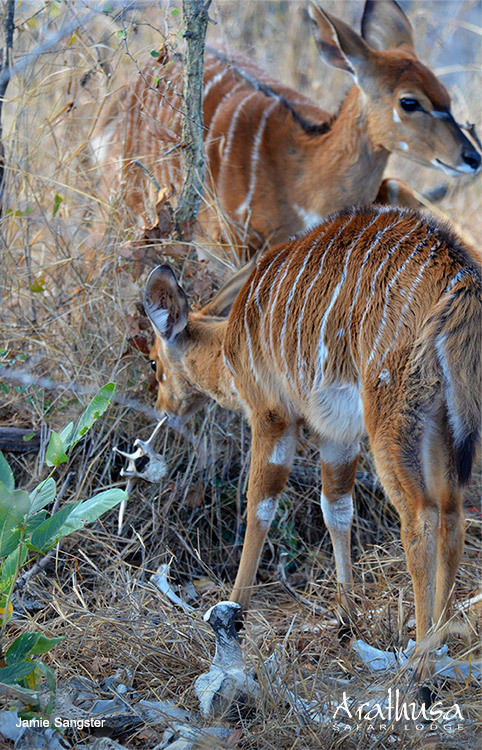 But the real summer delight for guests on safari in summer is the arrival of “mapimpans” (a slang term from the local Shangaan dialect for babies) – baby animals of course! 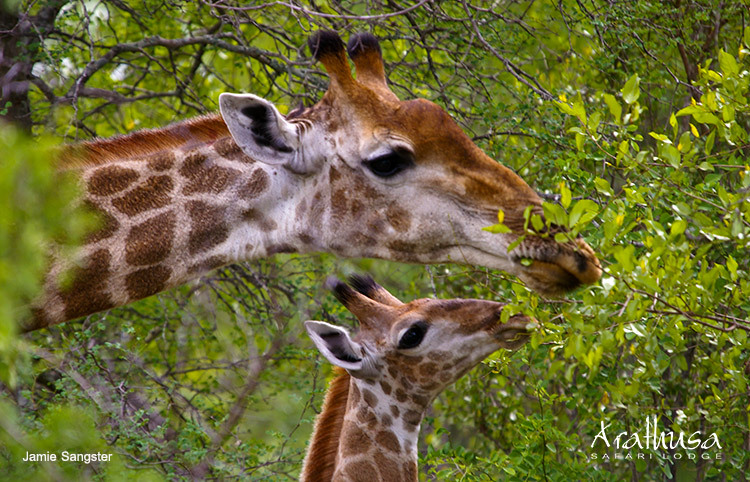 Most herbivores are seasonal breeders, timing their reproduction to coincide with the availability of fresh, nutritious plant growth stimulated by the onset of the summer rains. This supports the lactating females, and in turn increases the chances of survival for the new arrivals with big appetites – such as noisy elephant calves boisterously demanding to be suckled, much to everyone’s amusement (except the mother’s)! 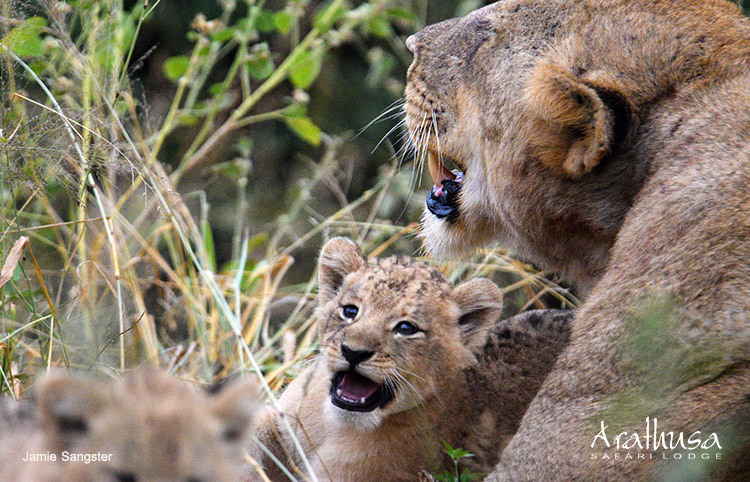 Most carnivores on the other hand do not restrict their breeding opportunities, mostly due to high infant mortality rates, having litters of pups or cubs whenever opportunity arises. Many have slight peaks either at the end of winter, the beginning of summer, or sometimes both. 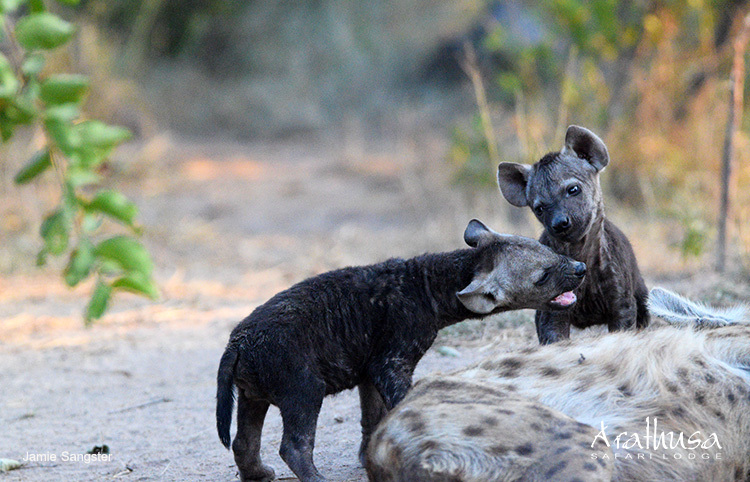 Wild dogs usually have their pups at the end of winter when herbivores, particularly impala, are losing body condition and are easier to hunt – especially the rams during the frenzy of their rut (mating). Smaller relatives like the black-backed jackal however, reproduce mainly in the summer because the concentrated arrival of vulnerable lambs provides this modest predator with easier prey to catch. All the new fluffy bodies never fail to prompt an adoring response from guests, who are spoiled with sightings and photographic opportunities during this time. 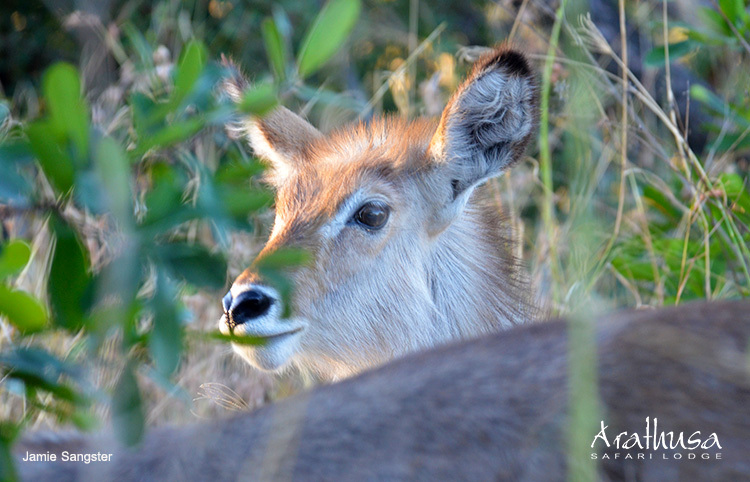 The often-overlooked impala herds (which will literally double in size in late November to mid-December), once again become a desirable stop on game drives. Not only are the babies incredibly cute, but they are always interesting to watch – dainty impalas suckling ferociously or engaging in endearing play behaviour always make for great shots or videos, and are wonderful to watch even without a camera. 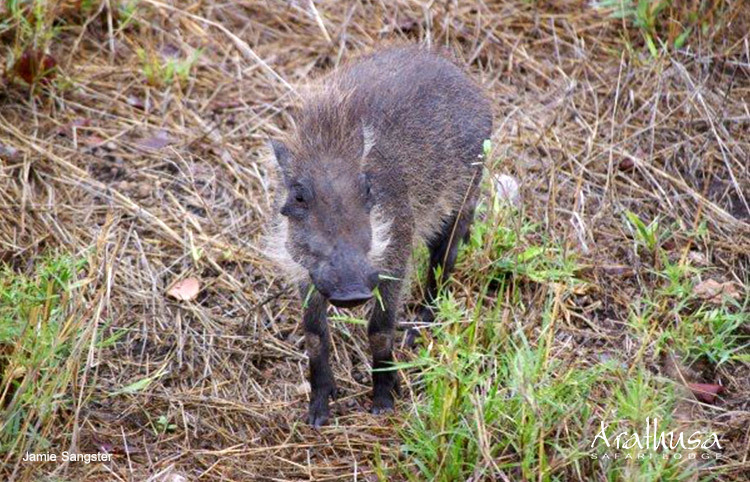 Although sightings of adult animals are always impressive they aren’t as adorable as the “mapimpans”! Guests staying over summer months are privileged to enjoy the full-length birding list with all the summer visitors. They are also able to follow the trials and tribulations of a range of wild baby animals during this time of year. 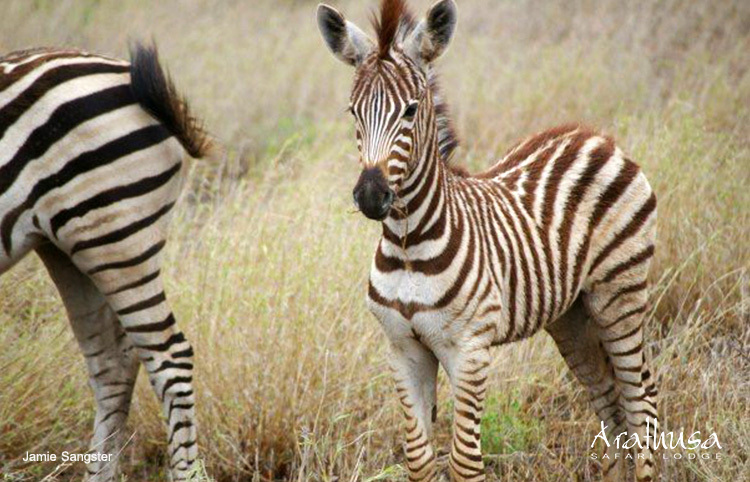 They may literally see some animals taking their first steps in life, and observe their progress as they learn through play with peers or dedicated tuition from mothers or relatives. 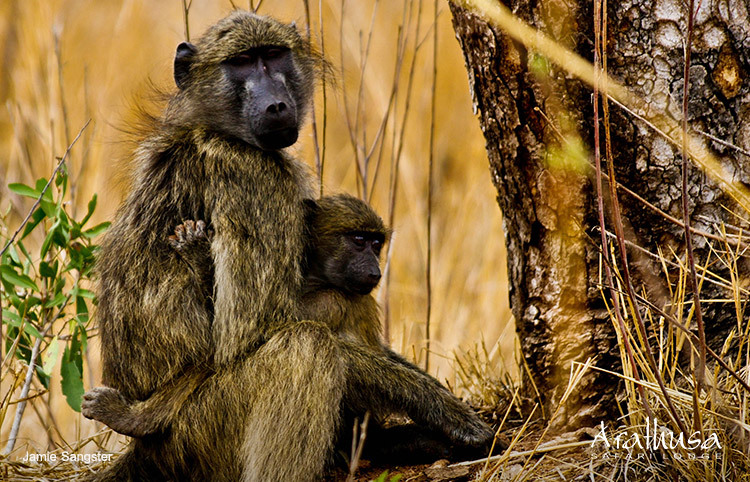 From watching a business of ‘mongoose helpers’ teaching pups how to forage, baby elephants battling to learn how to use their trunks, to big cat mothers bringing back live young prey for their cubs to practice their hunting. Fascinating insights into the lives of animals are happening all the time for everyone to experience and enjoy.